← Restaurant Week in Carlisle, PA! Friday night, just before the official start of restaurant week, we went out for dinner and were attracted to the outside patio at the Gas Light Grille. The weather was lovely and we were excited to sit out in it and eat great food. We ordered the special appetizer of the evening, a crab dip, along with a golden margarita. The drink arrived first and we found it to be excellent, with quite a range of flavors. This made us all the more excited. We chatted with our waiter a little and he said they’ve a new chef, one of several lately. The owner is looking to move towards a whiskey rebellion style menu soon. He ordered a pub burger and I the chicken margarita sandwich, and they arrived before the appetizer, which our server brought with apologies, saying he’d been unaware that the chef had needed to make a fresh batch. It was the first disappointment of the evening, having a very strong fish flavor to it. We sent it back and turned to our sandwiches, trying to stay optimistic. It looked tasty. However, even after liberally salting the chicken, I had a hard time finding it in my bites. His pub burger was slighty over done, more of a medium then the medium rare he’d requested, and he didn’t care for the texture. Add to all this that, though no fault of the restaurant, there were other diners smoking on the patio, we couldn’t wait to leave and asked for our check. We were further disappointed to learn that the crab dip hadn’t been removed from the bill, the explanation being that since it was only our preference that disliked it, we would have to pay for it. We paid and left, planning not to return anytime soon. Maybe we will be tempted to try the new menu when it comes out, but that’s a pretty big maybe. 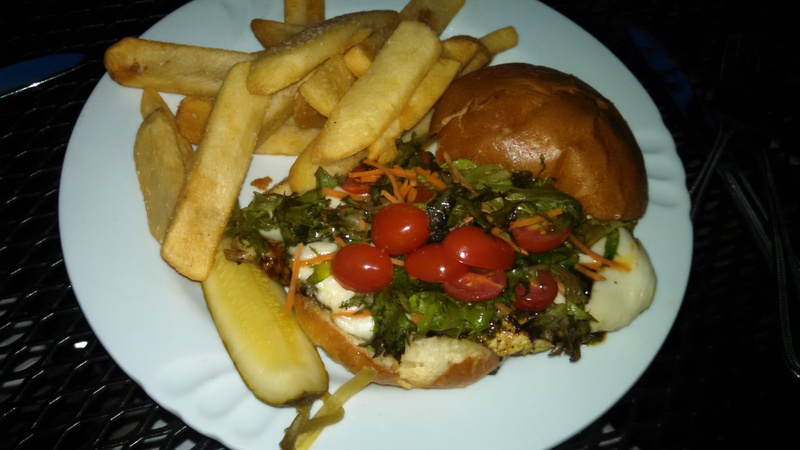 This entry was posted in Reviews and tagged Carlisle PA restaurants, Chicken Margarita, Crab Dip, Gas Light Grille, Margarita, Pub Burger, The Gas Light Grille. Bookmark the permalink.